Borussia Dortmund set aside their Bundesliga troubles with a 3-0 win at St. Pauli in the second round of the DFB-Pokal. 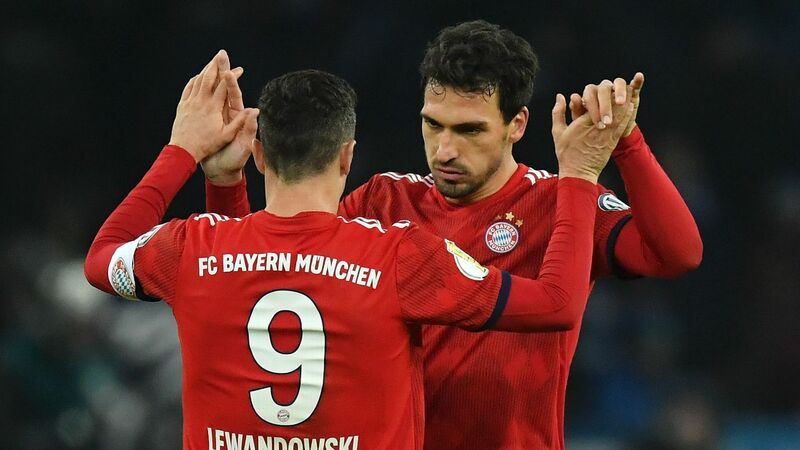 Dortmund, last season's beaten finalists, were looking for relief after losing their last four league games, and the visitors started strongly against the second-division side in Hamburg. Ciro Immobile, who arguably had a good goal ruled out for offside early on, opened the scoring in the 33rd minute. Kevin Grosskreutz cut the ball back and Shinji Kagawa helped it on for the Italy striker to convert from close range. Immobile then set up Marco Reus to make in 2-0 in the 44th, before the home side threatened a comeback in the second half. Florian Kringe went narrowly close with a deflected shot and Dortmund keeper Mitch Langerak did well to save from Dennis Daube. But Kagawa settled Dortmund's nerves by sealing the result with four minutes remaining after a poor clearance from St. Pauli goalkeeper Philipp Tschauner. Werder Bremen celebrate doubling their lead through Franco Di Santo. Werder Bremen defeated third-division Chemnitzer FC 2-0 to get Viktor Skripnik off to a winning start as coach. Fin Bartels finished off a clever pass from Izet Hajrovic to open the scoring in the 31st minute, and Argentine forward Franco Di Santo beat the Chemnitz keeper at his near post in the 49th. Former under-23 coach Skripnik took over the Bundesliga's bottom club on Saturday, when predecessor Robin Dutt was sacked. Hertha Berlin crashed out 4-2 on penalties to third-tier side Arminia Bielefeld. Bielefeld goalkeeper Alexander Schwolow was the hero with two saves after the game finished scoreless. Hannover lost 2-0 at second-division Aalen. An own goal from Ceyhun Gulselam gave the home side a 24th-minute lead and Michael Klauss made it 2-0 in the 59th. Fourth-tier side Kickers Offenbach caused another upset by defeating second-division Karlsruher SC 1-0 thanks to Benjamin Pintol's 63rd-minute strike. Kaiserslautern defeated second-division rivals Greuther Fuerth 2-0.